Business Insider Top Duke Students! 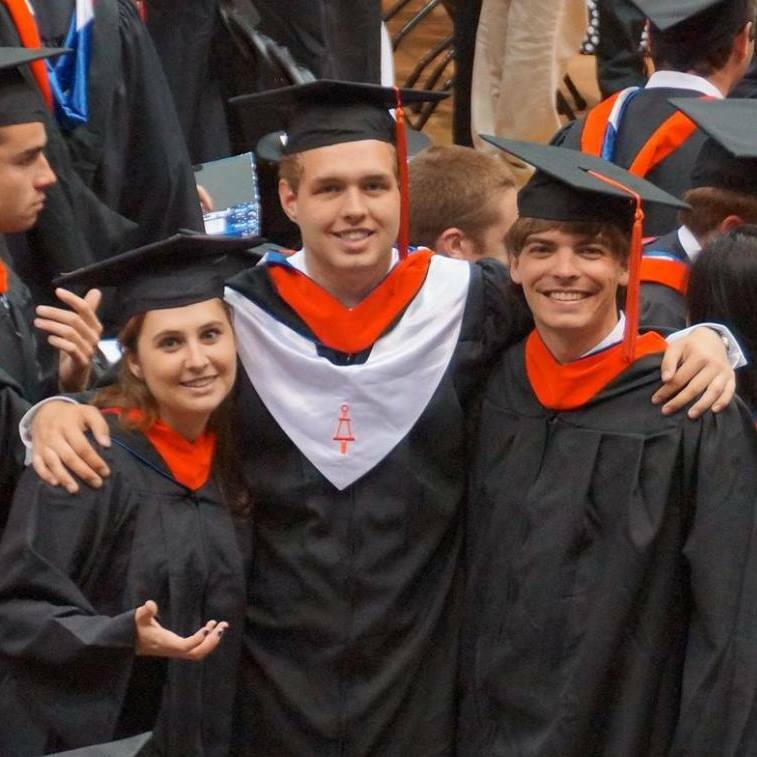 Duke Graduation in the Class of 2015! Duke University has been a wonderful home over the past four years. I’ve made really great friends, learned so much, and grown as a person while keeping a hold on the ambition and optimism that drives me to want to innovate and make the future awesome. Sadly though, I’ve finished my senior year, and it’s time to move on to the next adventure. Thanks to the awesome advising from the Duke BME, PreMed, and CS departments and a little luck, I managed to officially get a BSE in Biomedical Engineering and Computer Science in only four years and satisfy all the pre-medical requirements to go to Harvard Medical School! I couldn’t have done it without my awesome friends and family, and I had a really fun time celebrating graduation together and wearing our funny outfits. I even brought my Ricoh Theta Spherical Camera with me to the graduation ceremony so you I can relive the whole experience in Virtual Reality! Or just by going to this site on your phone and pointing it around you. Very fun. It’s an exciting time, and I’m already excited for our future class reunion! Wow, my four years at Duke are wrapping up fast! I recently had the honor of being nominated and interviewed by Business Insider as one of Duke’s “18 most impressive students” and the article includes a lot of my good friends :) Very excited to be graduating with my wonderful class of 2015 and excited to see what incredible things everyone continues to do in the future! This is my fourth year of leading the student organization that puts on TEDxDuke each year and as a senior I wanted to make this event the best yet, and make sure that TEDxDuke will keep on growing for many years into the future! 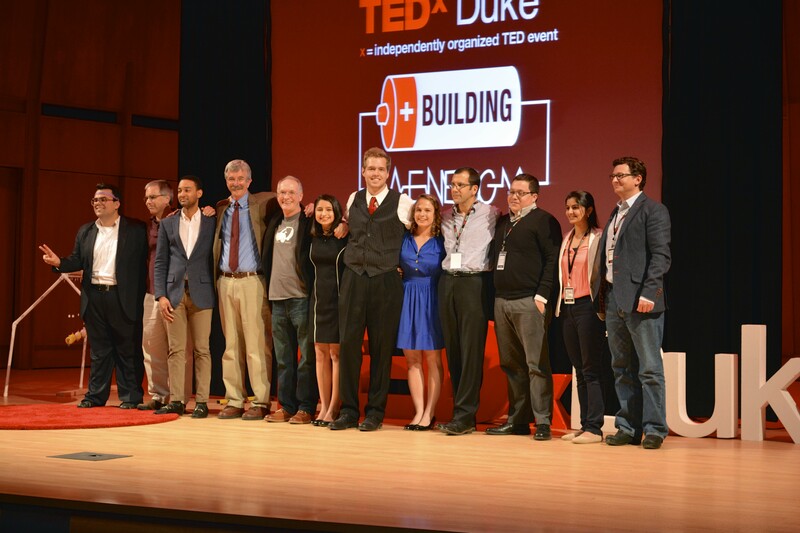 I think we have succeeded at both and this year’s TEDxDuke 2015: Building Energy was electrifying and full of energy! We had a set of really incredible speakers from the Duke Lemur Center, local clean transportation startups, community empowerment, Duke energy faculty, and wonderful students involved in improving sanitation in India and arts entrepreneurship. We also had an awesome physics demonstration from the Duke Physics department during which we exploded a beaker with sound waves alone. 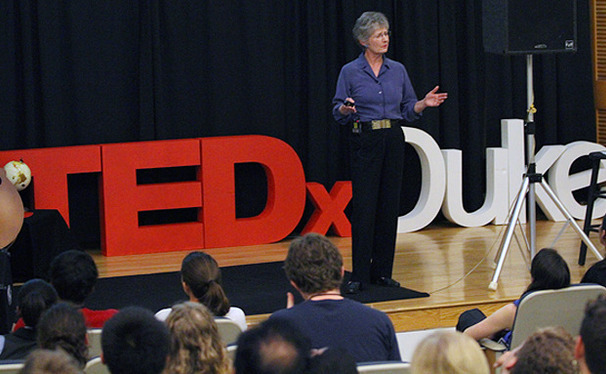 You can see the full lineup at TEDxDuke 2015 and all of the videos from this year on YouTube. Best of luck to the new TEDxDuke leaders Nayib, Anna, Morgan, Shade, and Matt, I’m excited to see how the event turns out next year! Many North Carolina students came to Duke in March to compete in a Hackathon with the theme: Hack for Good. The student team which made a project (app, website, hardware, or mix) in 24 hours which the judge panel of nonprofit representatives found the most impressive, did not receive a prize but chose a non-profit to receive a grant. Two of my friends helped me with an idea I had to build an app which allowed minimally trained people in third world countries to send pictures of potentially cancerous skin to doctors here at Duke and receive confidential advice. We used MMS to send data over poor cell connections and won third place in the health and wellness category! 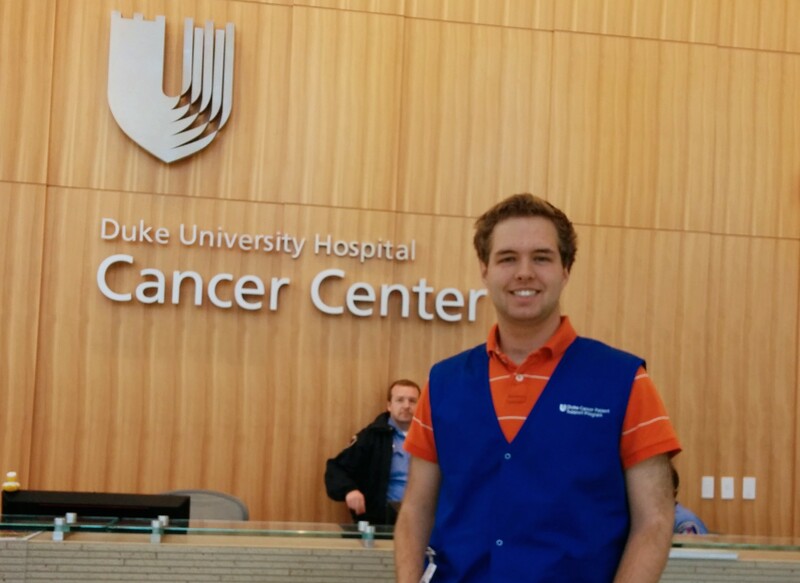 At Duke, I am fortunate to be so close to the amazing Duke Hospital and their new Duke Cancer Center. As an outpatient volunteer in my junior year, I was very excited to be a source of comfort to patients and their families in the waiting room. Along with offering refreshments, I struck up conversations with lots of people and enjoyed the chance to sit and learn about their experiences. I made an effort to brighten the atmosphere and tried to welcome and wish everyone a good morning throughout my weekly shift. I also attended optional volunteer informational events and learned from the experiences of other older volunteers. In my junior year, I was asked if I wanted to represent the undergraduate student body in board meetings of the Information Technology Council at Duke. This seemed like a great opportunity to help my fellow students and I gladly agreed and attended the weekly board meetings. I added my perspective on issues like the Duke Hospital's integration with the rest of the school, and making 3D printing systems available to students. I also gave a big presentation at one meeting summarizing what worked well for students and what could be improved (better protection of student information). You can see the slides I presented here. It was a valuable experience and has shown me all the work that goes into systems many people take for granted. 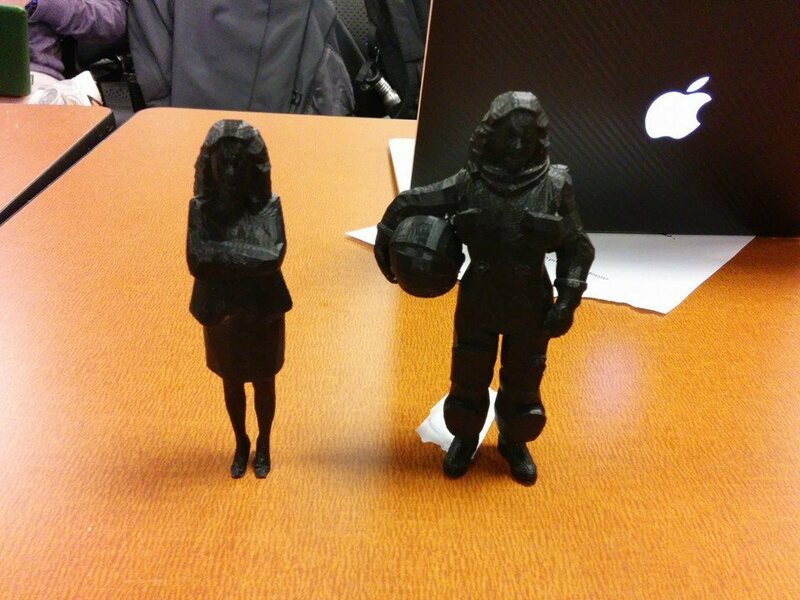 For the Duke 3D Printing Challenge, I recognized that a strength of 3D printing is in personalising objects for their owner. I wanted to make personalized dolls for my younger sister to show her what she could look like in powerful roles like an Astronaut or CEO. I hope that by making a personal connection with doll with her face, she could see all of the possibilities open to her. Unfortunately I didn't win, but I learned a lot in the process of making the models! 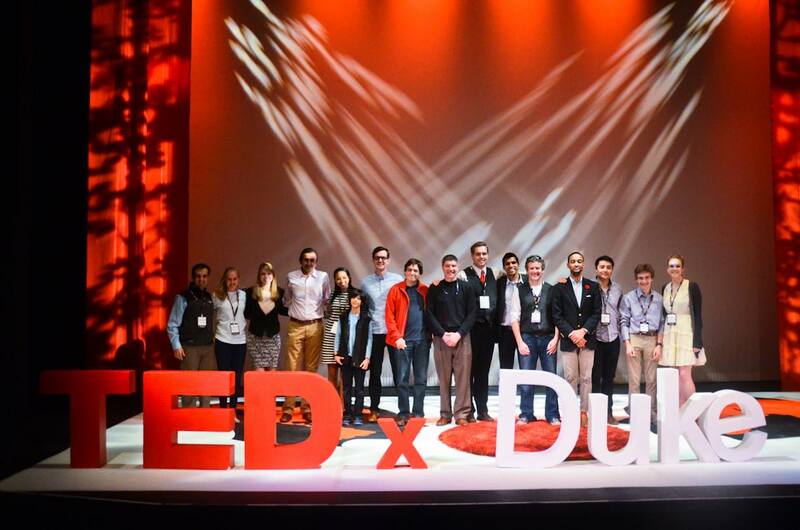 As the fourth annual TEDxDuke event and my third year being involved, I led the student organizing committee as Co-President to expand the event from 100 attendees in 2013 to selling out over 600 seats this year. We had a phenomenal turnout and twelve wonderful speakers throughout the day from Duke doctors developing artificial blood vessels, to students promoting girls engineering change around the world, to local community members starting businesses and positively impacting the local youth. It was an amazing event and I loved seeing how the theme I chose "Challenge Accepted" was used by speakers to discuss challenges they have faced as well as by speakers who challenged the audience to rethink the impact of their actions. On November 16th, Duke held it's biggest student-run hackathon ever called HackDuke. I was involved in its organization and on the day of the event, I was on the staff which checked in over 500 students into the 24-hour competition to build the next big thing with technology. I also competed in the hackathon with my friend Matthew Roy and we stayed up all night writing an app for Google Glass called ChaChing! With ChaChing, the user can see a heads up display of their current bitcoin balance through their CoinBase wallet and when international relief efforts are going on, it asks the user if they are interested in donating a dollar with just two taps. Additionally, it alerts the user when they walk near a location which accepts bitcoin (a rare, but noteworthy occasion for someone with bitcoins to spend). We ran into a lot of hurdles long into the night but both came out of it more experienced, happy with the finished project and closer as friends. Winning the prize for best use of Google APIs was bonus. I'm very greatful for the opportunities that have been opened up for me at Duke thanks to my Angier B. Duke Merit Scholarship, and I was also happy to be involved in this video with a couple of my fellow scholars highlighting how we have benefitted from the scholarship! I recently did a video for the Duke Scholars Program on what I've been up to recently on campus, and you can see it here. I've been organizing TEDxDuke 2013 and working in the Nicolelis Lab with monkeys who can control computers with computer implants. This past summer, I studied Bio-Ethics at New College in Oxford with my fellow AB Scholars, and this summer I will be working at Google on Hangouts which I am really excited for! 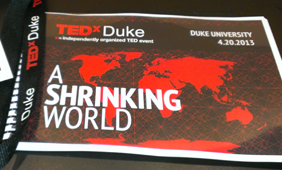 I can't wait to start working on TEDxDuke 2014! Over my time at Duke, I've participated in a program called Duke Splash 4 times now which lets Duke Students teacher middle school and high school students about topics that they are passionate about. I have taught a class I call "What else can Google do for you?" to around 60 students in total now and every time I do it differently so as to make it an interactive way of getting to know the students and show them the cool free tools Google offers which can make their lives so much easier. 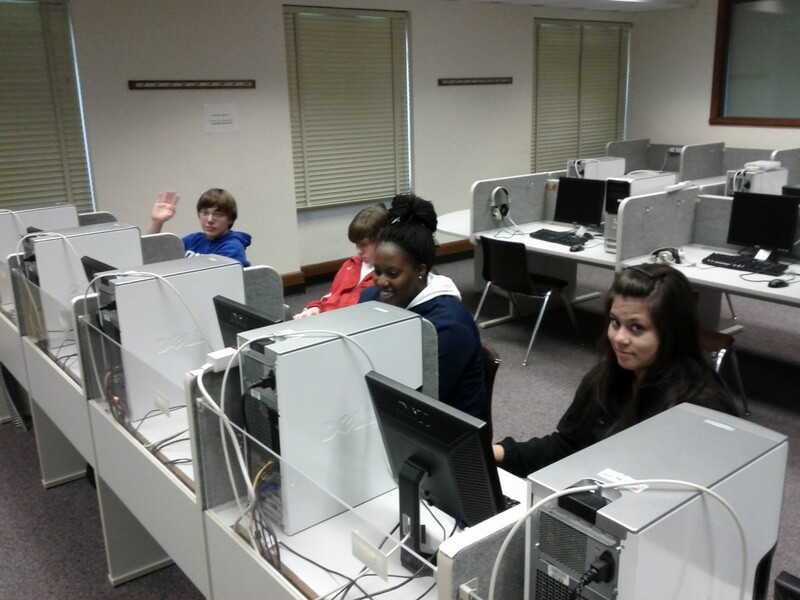 It's always a blast to help students learn about new technology! I work in the Nicolelis Lab at Duke on the Walk Again Project and the lab was prominently featured on Wired.com today! 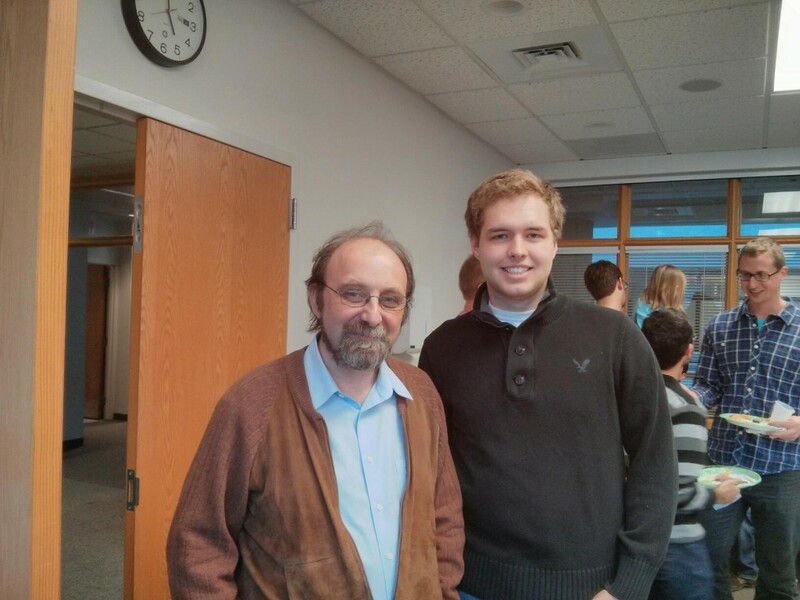 You can see me celebrating with Dr. Nicolelis himself in this image. We're working with some amazing cutting-edge technology and we're working hard to make the World Cup Rio 2014 exoskeleton demo a reality! This summer I took a class on Science Ethics at Oxford New College! Oxford has amazing history and an unbelievable library. 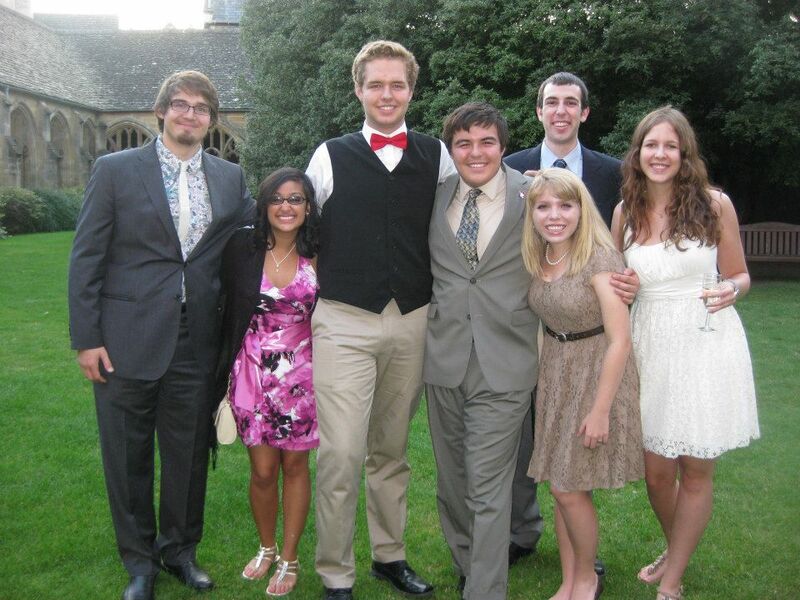 England was a very excited place to explore and I had a great time with my fellow Duke classmates! 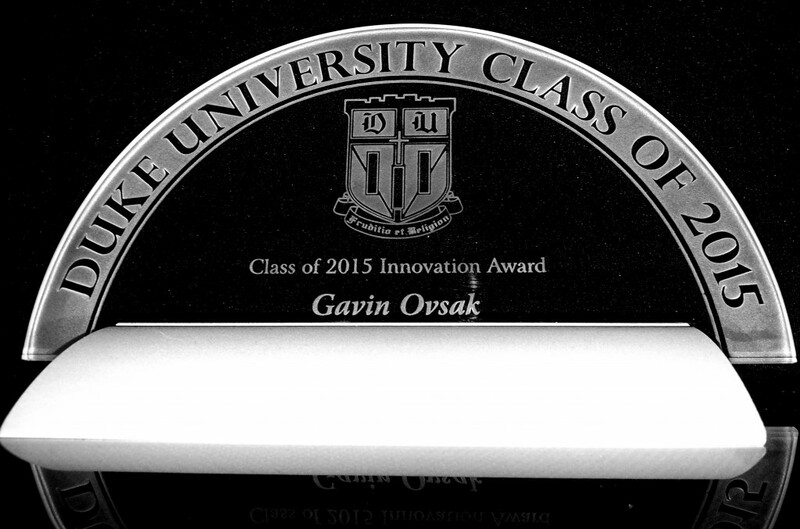 I was extremely honored to have been nominated to receive the Duke Class of 2015 Innovation Award at the end of my freshman year this April. This year, I worked to enhance the classroom experience at Duke through collaborative learning using grassroots Google Docs (Duke Notes). 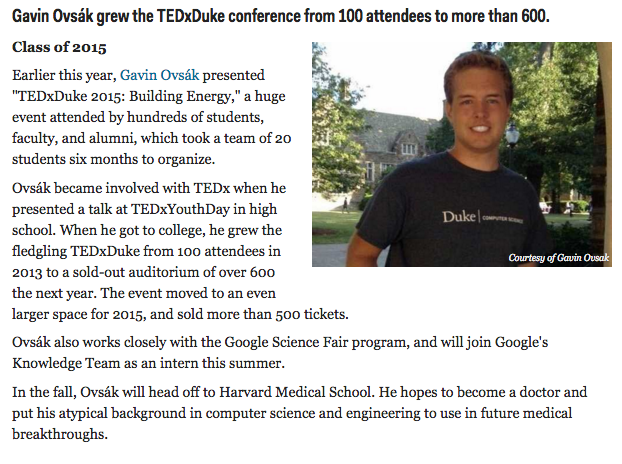 Coming into Duke as a freshman, I knew that one of the things that I wanted to invest my time in was helping to organize TEDx events at Duke. TEDxDuke 2012 was a very exciting event to help organize and was a huge learning experience. I was in charge of the technology of the event and luckily the few unexpected hiccups of the event (projector problems) were able to be fixed quickly and the speakers all shined and blew us away with their inspirations. My favorite speaker of the event was Jimmy Soni, Duke Alumnus and Managing Editor at the Huffington Post who incorporated a historical event into his talk which had occurred on this very date and asked us all to work to include history into our everyday lives. 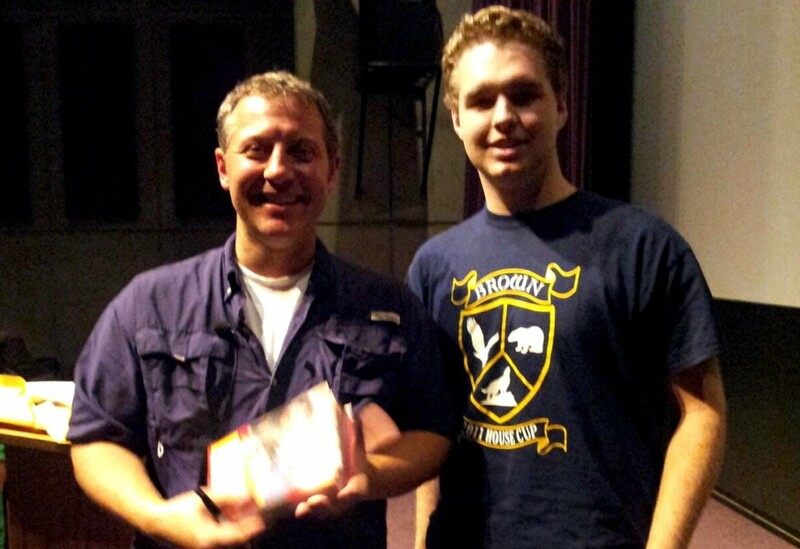 Martin Kratt, one of the brothers who made Zaboomafoo, came to Duke and I got to meet him! He's a duke alumnus and I was really interested to hear his story of how he went from lemur researcher to television personality. We got to talk a bit and he's got a new show that is doing great on TV called Wild Kratts! 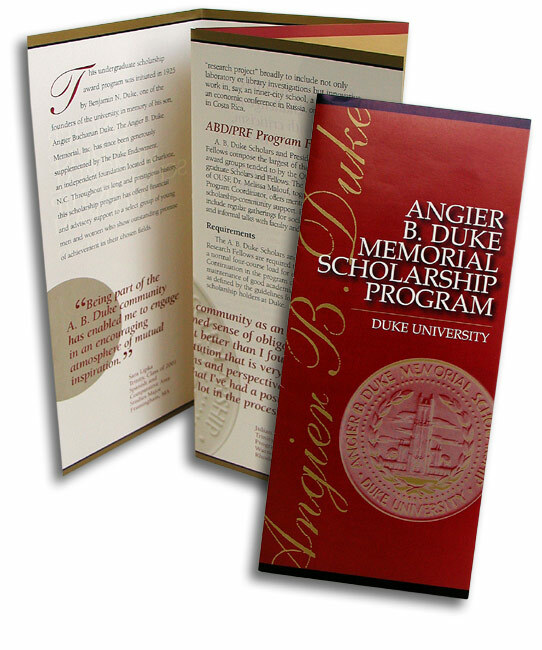 I am extremely honored to have been chosen to receive the Angier B. Duke Merit Scholarship from Duke University! This will allow me to go to Duke and pursue a double major in Biomedical Engineering and Computer Science without incurring any debt. Along with the full tuition coverage, I will have funding to pursue private research and bond with a close knit group of other present and past scholars throughout my duke years and beyond. Needless to say I'm very excited!